With the advent of "The New iPad" (a.k.a the iPad 3), the tablet closes a lot of gaps in capability that make it an even more interesting tool for photographic work. 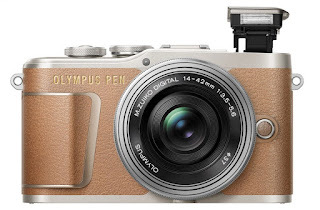 Now, I don't mean that you should use it as a camera, but more as a tool for doing the things before and after you take the pictures, both with hardware and software. The Camera Connection Kit is a way of getting images from your camera to your iPad without going through iTunes. You can buy these in a number of electronics stores as well as the Apple store and, basically, it's just a couple of adapters that attach to the docking port on the iPad. The first adapter is for SD cards, so that you can copy directly from the card. The second adapter, for cameras that don't use SD, is a USB port. Don't get excited about that, it's not usable for anything else really unless you jailbreak your iPad. So, for what it does, it works well and you can copy both JPG and raw images with it. CloudFTP (now known as iUSBport for some ungodly reason, not that the original name made a lot of sense) gives you a WiFi enabled USB port in a very portable, rechargeable battery-based, device. The big gain here is when you couple it with a handy little iPad app such as FileBrowser you can copy files too and from external storage devices at will and all on a self-contained little WiFi network. Eye-Fi SD Cards and the iPad app gives you some of the features of tethering the camera to a computer. For those who don't know, tethering is the ability to remotely control the camera from a computer, take pictures, and see the result on the computer screen. This is a very powerful feature (and one sadly lacking from Pentax) and Eye-Fi brings some of it to the masses. 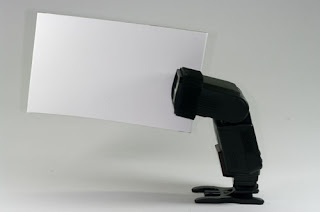 In particular, it brings the ability to transmit the image from the camera to the iPad wirelessly. Not a bad option for a photoshoot if you want to let others see the shots as they happen. 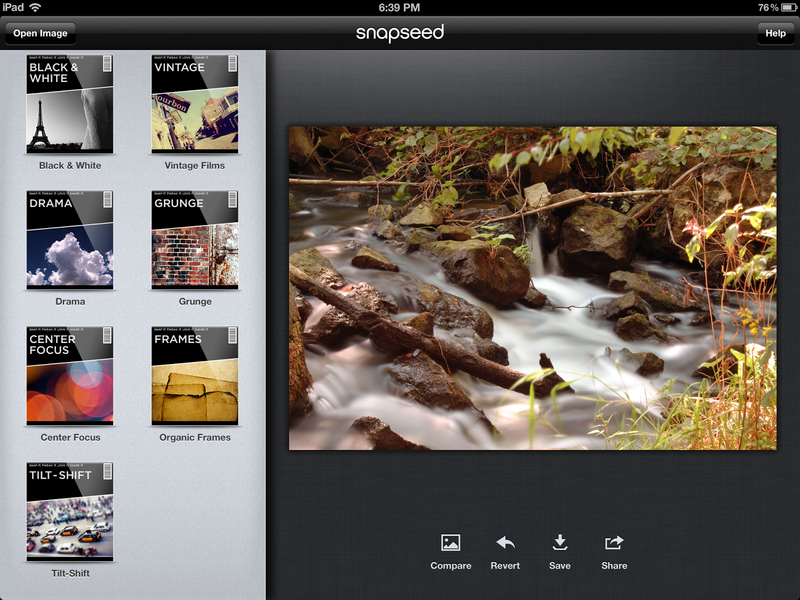 Snapseed is my go-to editing app on the iPad, though there are a ton of options including iPhoto and Photoshop Touch. All of these are great (and I have each of them), but Snapseed is the one I enjoy using the most. Not coincidently, I also have all the Nik Software plugins for Photoshop on my Mac, so clearly I think they give value for the money. 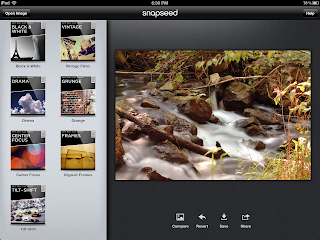 Snapseed is loaded up with some really great general editing features plus a whole host of interesting and powerful features. The only real gap, I think, is the ability to scale the image (up or down). Now, the scaling limitation is meh, but I can work around it. 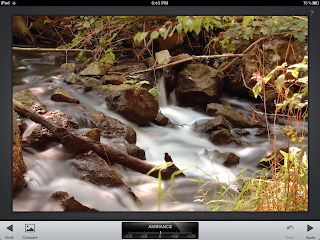 By the way, did I mention it works with any raw format that the iPad can handle (which is a lot)? Well, it does. Of course, that's true of iPhoto and Photoshop Touch. Easy Release Pro is a model and property release application. It has a number of really handy features including the ability to sign on the device (using a finger or stylus), generate PDF files of the release, and email the documents to everyone involved. The pro version of the application has a couple of standard releases to use, with simple language, and they're acceptable to stock agencies and others. Even if you're not a pro, which I'm not, having these available is not a bad thing just in case. Lots of pros got started as amateurs. Anyways, to use it, you basically define some information about the shoot, add the model (which you can do in the release or add from contacts), and then get the proper signatures. 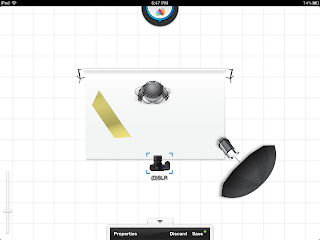 Sylights for the iPad my favourite lighting diagram software is now on the iPad and it's great. All kinds of features and the price, which is free, is downright incredible. There's really not much to say except that this is an awesome application for documenting the lighting setups you used for any given shoot. That's my round-up of what I use. I expect more and more tools to appear as tablet platforms, such as the iPad, mature and get more capable. Even still, today, they're quite powerful and now the iPad is my road warrior of choice when I travel.